DAVID LE/Staff photo. 5/19/15. 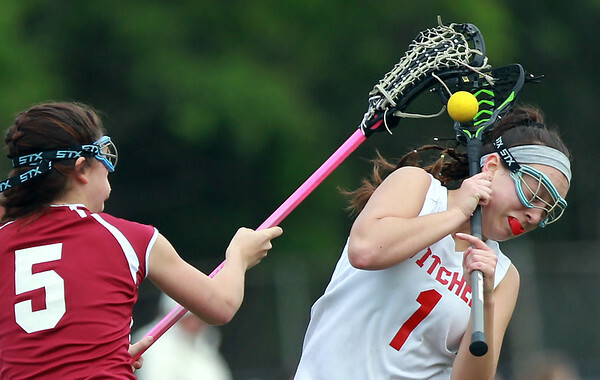 Salem midfielder Elizabeth Roush (1) gets the ball knocked loose from her stick while being fouled by Gloucester defense Macaella Oliver (5).